Although it underwent a major overhaul just one year ago, the Honda Civic enters the 2013 model year with fresh batch of standard equipment, better interior materials and improved ride quality. With a range of engines to choose from, along with sedan, coupe and sporty Si variants, there is a Civic to fit most tastes. Honda Civic 2013 sedan lx. I have a Honda Civic 2013 sedan lx. When I did my test drive on this vehicle I already felt that it was the one. It was simple, comfortable, and responsive. Safety is my priority and I instantly felt it with this vehicle. I got my car as a used condition at 2016. Mileage was decent, the price was reasonable, and it was in good shape. All I did was to have the car serviced and replaced the wipers then everything was a-okay! I do not do much long driving. The most I did is 2 hours. During those times it never crossed my mind that I was uncomfortable in my seat. No matter if I am sitting up straight when concentrating or slouching when I am driving lazy I always feel comfortable and safe. My car’s version does not have leather seats or seat warmers, but I do not mind. I personally do not need to spend more money for those extra features. I was first skeptical in buying a used car. Safety is my priority. Checking the brakes was the first I checked during my test drive. The brakes are not too sensitive yet responsive. I love how it smoothly slows down when putting the right amount of pressure on the breaks. I hate when I borrow my sister’s car cause her brakes are too sensitive. With just slight amount of pressure on the brakes the car stops abruptly. I had to adjust to it and my legs get tired faster. Yet, with this model I have no complaints. Car warnings are on point too, which I appreciate a lot. Overall I love this vehicle. The features are basic but useful. Also, sunroof! The link below are the specs for this vehicle for more information. Https://cars. Us news. Com/cars-trucks/Honda/Civic/2013/specs/Civic-lx-automatic-sedan-356545. I love everything about the Honda Civic!! I love driving a Honda Civic. It gets great gas mileage, and definitely gets me where I need to go! I hardly ever have to take it to the shop, making it low maintenance! It has never broken down on me, and the seats are so spacious and comfortable! They lean all the way back which is a definite bonus. The back up camera has saved me so many times, and the dash changes colors based on how efficiently you are driving. The faster you drive, the lights start to turn blue meaning you are accelerating too fast! I love that the computer has a maintenance reminder for me. So whenever I have a service due, it remembers for me so I do not forget to service it! I will never drive a car other than a Honda Civic as long as I live. It also accelerates fast, making you sound like you are driving a sports car. I like that the very base model of this car came with all of the bells and whistles that would cost so much extra with other types of car! 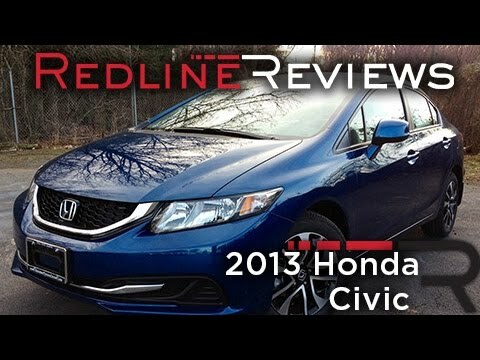 I would absolutely recommend someone shopping for a car to check out and consider a Honda Civic! Sporty, compact, zip around town car. Excellent gas mileage! My Civic is extremely reliable, in fact we just moved back from Europe and it proved to be quite reliable as we crossed several borders and traveled to many vacation destinations. The gas economy is particularly excellent with the si model, and given we have a two-door model it fits our small family perfectly. We purchased a manual edition and we do not regret it! We find we get better gas mileage versus the automatic version. The interior is quite nice and very sporty. The racing seats can be deemed uncomfortable over long distances but we've never had a problem. The dashboard is laid out quite nicely and we use our rear backup camera without fail. The sound system that came with the vehicle is excellent and in the three years we've owned it, have experienced no issues. My kids are young so they do not complain about the space in the backseat but truthfully, the car can fit three adults in the backseat it is just a little cramped.